Denver’s largest hotel has been sold to a joint venture between an Atlanta real-estate company and a Southern California private-equity firm, and a major renovation of the 57-year-old property will be coming soon, the new owners said Monday. 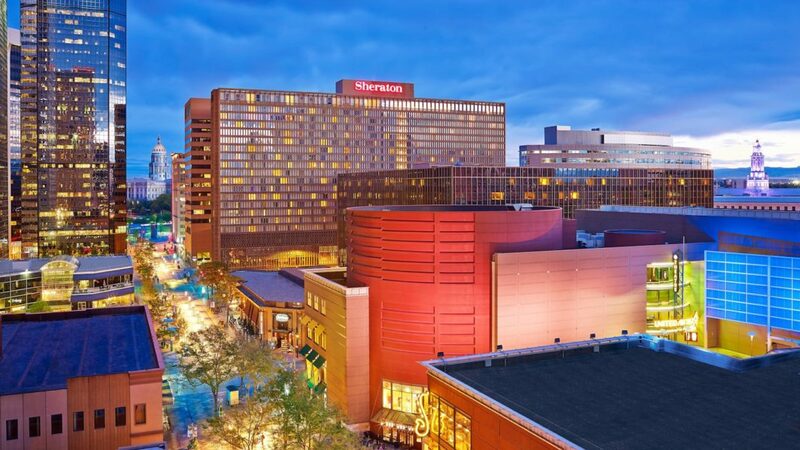 The 1,231-room Sheraton Denver Downtown Hotel is now under the ownership of Denver HS-EF Court Place LLC, a partnership between High Street Real Estate Partners of Atlanta and Eagle Four Partners of Newport Beach, California. No purchase price was announced. Chartres Lodging Group LLC of San Francisco had owned the hotel since it purchased it in 2008 for $176 million from Fred Kummer’s HBE Corp. Chartres then sold the property on which the hotel sits in 2015 to AVR Realty Co. LLC and David Werner Real Estate Investments of New York for $210 million, according to public records, but maintained ownership of the actual hotel and signed a deal to lease back the land. The new owners said in a news release that they are developing a major renovation plan for the hotel that will include both guest rooms and public space. Longer-standing downtown hotels recently have gone through a wave of renovations to keep up with the new facilities coming into the market, but the Sheraton had not been a part of that trend up until now. Members of the ownership group also said they will maintain the Sheraton designation as brand owner Marriott International Inc. (Nasdaq: MAR) prepares to re-launch the Sheraton Hotels and Resorts brand. When Chartres acquired the property, it re-branded it to a Sheraton after 13 years as an Adam’s Mark hotel.